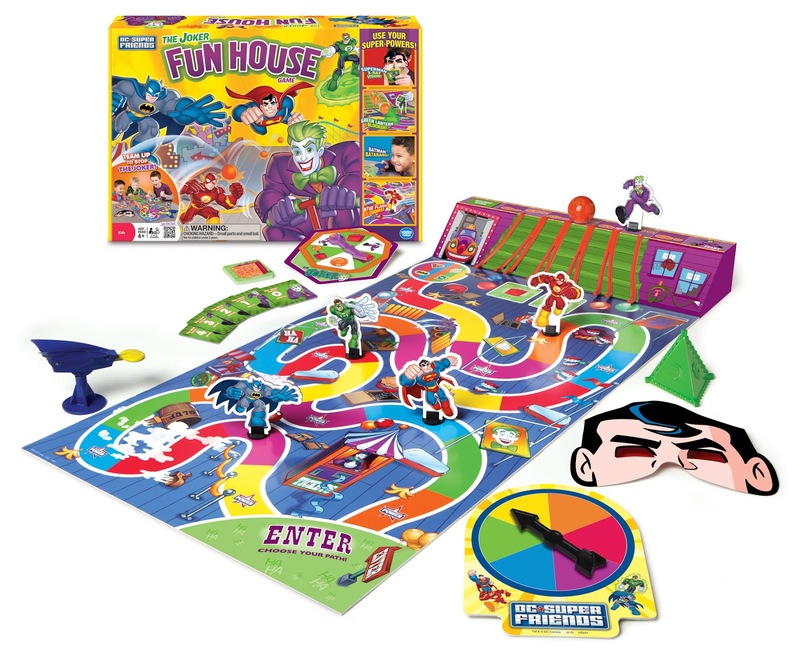 We have searched high and low to find the perfect board games to put under the three this year. We have narrowed it down to these four fun and interactive games. I love spending Christmas morning playing board games with my kiddos while surrounded by mounds of wrapping paper. The Enchanted Cupcake Party game is fit for a princess. 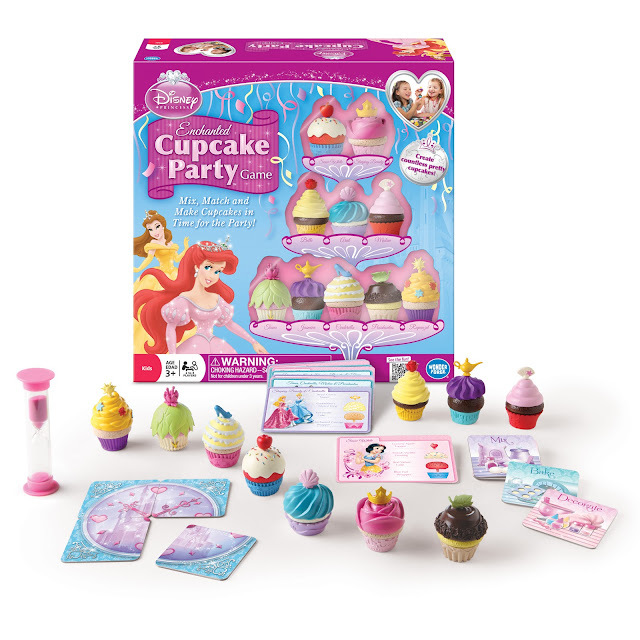 Your little princess can mix, match and make cupcakes just in time for her party. The game encourages teamwork, matching and pattern recognition. It is recommended for children ages 3+. 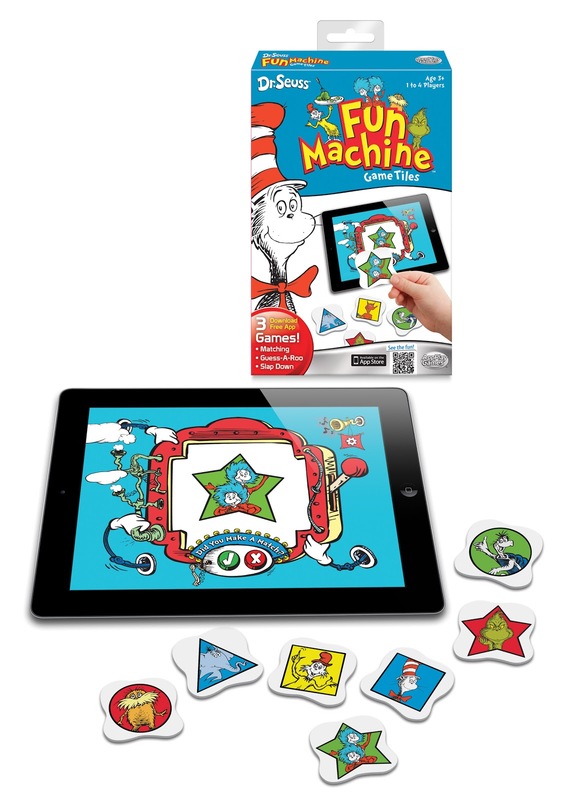 Children will have a wacky time playing with the Dr. Seuss Fun Machine Game Tiles. It includes three downloadable games from the itunes store: Matching, Guess-A-Roo and Slap Down. It is recommended for children 3+ and is perfect for 1-4 players. The games promote matching, memory, observation and deduction. 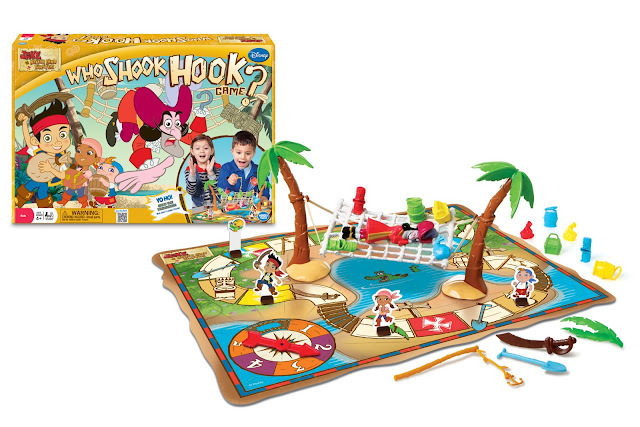 Jake and the Never Land Pirates will scream "Yo-Ho" while playing the Who Shook Hook Game. Captain Hook is taking a snooze while Jake and his pirate crew try to get some of the treasure. Whoever collects the most treasure wins! The game is recommended for children 4+. Disclosure: We were provided with these games for review purposes only. All our thoughts and opinions are of our own.